Need urgent car key replacement in Edmonton, Alberta? We are a local company offering mobile emergency service 24/7. Do call us with any vehicle key problem. Is it lost or broken? Our company, Edmonton Locksmiths, provides affordable and fast response services. We carry replacement keys with us to match the needs of all cars and have long experience in all makes. Want to replace the key of your Ford, Toyota, BMW or Mercedes Benz? Trust the service to us. Each auto manufacturer invests in unique security systems to increase car security. Our auto locksmith team follows any change in the industry and can handle problems with any car make in Alberta. In order to meet the needs of your car and your personal expectations, we use high tech equipment and sophisticated software designed for the programming of transponder keys. The two important phases during car key replacement is key cutting and key programming. We guarantee perfection in both services thanks to our expertise and special equipment. We offer quick response car locksmiths service in Edmonton, Alberta because there is a mobile team in our unit ready to take care of urgent problems. The minute you call to report a problem with your car key, one of our technicians is heading your way. Want a car key made immediately? Call us 24/7. Our company offers emergency car key replacement Edmonton service. Whether your key is misplaced or damaged, we can replace it. But we can also make a new key to keep aside in times of emergency. Although most vehicles come with two keys, if you need an extra one or your car is provided with only one key, contact us. We can cut and program a new car key for you in no time. 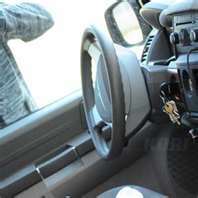 Edmonton Locksmiths is the company you can trust with your car keys and any problem with them. They are properly fixed and the new ones are accurately cut and programmed. Don’t hesitate to call 24/7 for your urgent needs.